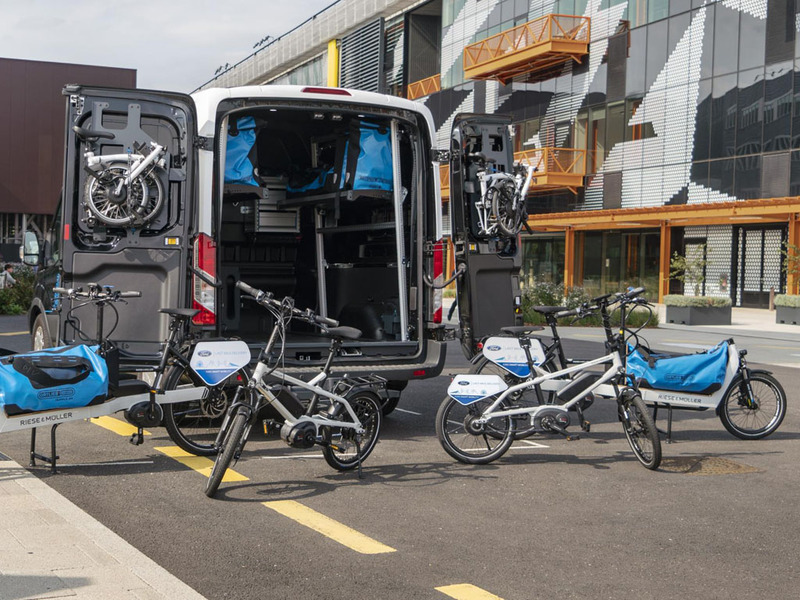 Ford and Gnewt have partnered to trial new “warehouse on wheels” technology in London, designed to help cut traffic, reduce emissions, and improve delivery times. The trial involves Ford Vans being used as temporary warehouse depots that can deliver goods to an area saving last-mile deliveries being carried out by Gnewt that can save time and money by avoiding trips back to a central depot. The service will be driven by Ford’s cloud‑based, multi‑modal routing and logistics software MoDe:Link, that manages parcel delivery from depot to doorstep. The companies say this could help couriers, fleet managers, logistics and food delivery companies optimise processes and increase van utilisation, saving time and money while boosting capacity. Parcel deliveries are expected to double in the next ten years and with most fulfilled by vans, congestion in cities and average journey times have risen by more than 40% in just the last three years, Ford says. Consequently, there is increasing pressure to deliver more parcels, more quickly, with less cost, while continuing to ensure employee welfare and environmental responsibility. The service could also improve customer experience by offering improved delivery windows and reducing costs, speeding time from order to delivery by enabling vans to make more frequent round trips back to the depot. In addition, it could contribute to healthier streets and reduced traffic in major cities, cutting congestion around valuable kerb space where vans typically load and unload. Tom Thompson, project lead, Ford Mobility said: “Our goal is to keep larger vehicles like delivery vans operating in the high‑load, less‑congested environments in which they perform best. The technology is not limited to Ford vans alone and is designed to be compatible with other manufacturers, potentially opening the idea and efficiency gains to multi-modal transport and even pedestrians and delivery bicycles too – and in the future drones and autonomous robots – to carry out deliveries.